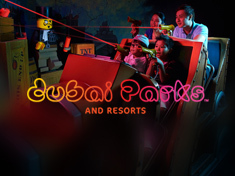 Dubai Parks and Resorts is the first integrated resort destination in the region. It’s the home of three world-class theme parks and one water park, as well as Riverland Dubai, the grand entrance plaza, and a Polynesian themed family resort. The place where the best of the east meets the best of the west to create a world of fun and adventure unlike any other. IMG Worlds of Adventure is the world’s biggest indoor theme park, packed of truly immersive thrills for the family. Visit to see dinosaurs roam the Earth, or be transformed into Ironman in time to save the world, or experience the mind-blowing thrill of raptor flight. 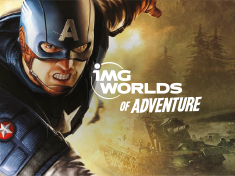 IMG Worlds of Adventure is the perfect place to unlock your imagination and have fun like never before. 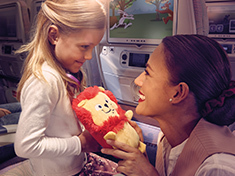 Young flyers get special attention on our flights, with tasty meals, non-stop entertainment, toys and goodies to inspire the greatest of imaginations. 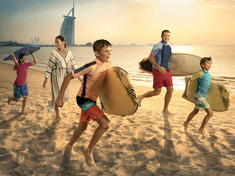 Sign your child up to be a Skywards Skysurfer and they too can enjoy the benefits of our Emirates Skywards frequent flyer programme.